Offers comprehensive engagement with the social, cultural, and historical context of American visual culture. Unique in its inclusive treatment, Framing America embraces the full scope of American art from the sixteenth century to the present. In addition to offering comprehensive coverage of the canon, Pohlâs narrative goes beyond the traditional, and sometimes derogatory, treatment of certain populations in American society and addresses the domestic arts and the social and political contexts of art. 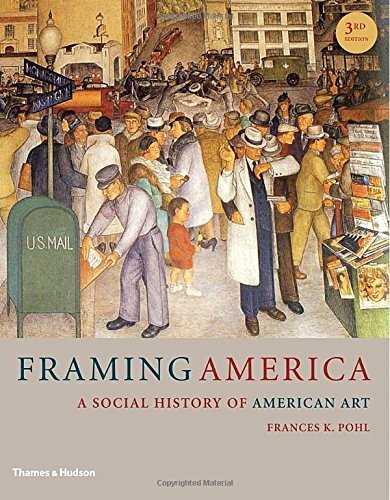 This is a truly comprehensive look both at the history of art in America and at the reciprocal influence of American art and society. The Third Edition features new images, from the early years of Western Europeâs encounter with Americaâs native peoples to the twenty-first centuryâs prioritization of sustainable architecture. About: For more than a generation, critics and scholars have been revising and expanding the customary definition of American art. About: Offers comprehensive engagement with the social, cultural, and historical context of American visual culture.